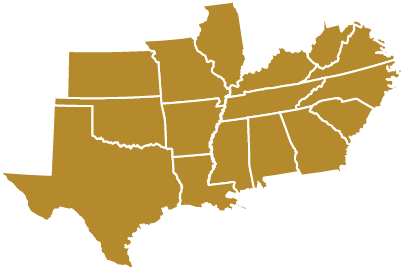 Established in 1993, Mountain Tops Inc. provides customers throughout the Southeast and Midwest with steel carports, garages, barns and other metal structures designed to protect your automotive, agricultural, recreation vehicles and more! 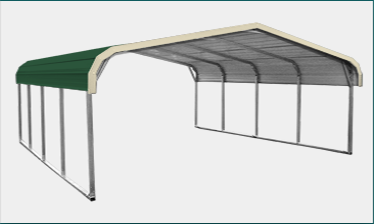 As a factory-direct dealer for Carolina Carports, we sell only the highest-quality buildings, designed to exacting standards and manufactured on state-of-the-art machinery. You will receive low, factory-direct pricing, plus free delivery and installation of metal carports by trained professionals. The process of ordering your new carport is amazingly simple. Use our online carport design tool to create your new carport or garage and you will even see a preview of what it will look like. Once you place your order online, our team will contact you with confirmation information. They will also contact you when your carport garage is ready for delivery and installation. Read about the carport installation process and check out our carport FAQ page, too. 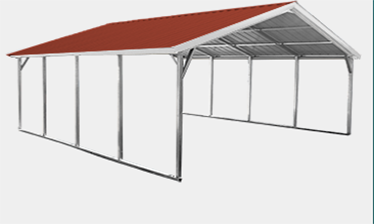 All carports and metal garages we sell are fully customizable. This includes width, length and height; roof style; the number of enclosed walls, doors and windows; and the color of the walls, roof and trim. 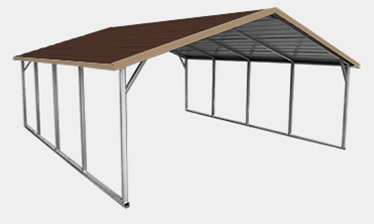 Use our website to custom design a carport or garage from 12'x21' to 30'x51'. 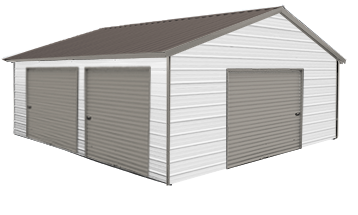 Additional sizes for our metal garages are available simply by calling us. Feel free to inquire about our competitive carport prices, too; our trained staff will be happy to answer all of your questions. We offer steel garages and metal carports for sale in North Carolina, South Carolina, Georgia, Tennessee, Kentucky, Virginia, West Virginia, Texas, Oklahoma, Louisiana, Arkansas, Alabama, Missouri, Kansas, Illinois and Mississippi. Whatever you are looking to protect –automobiles, farm equipment, motorcycles and boats or even livestock and pets – Mountain Tops has the perfect solution. Order your carport online or call us today! 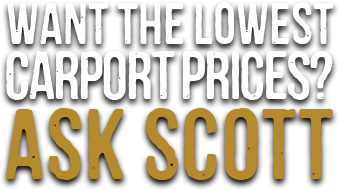 Your Scott's Carport order will include a 20-year limited factory warranty for the sheet metal on any length vertical roof metal carports for sale. 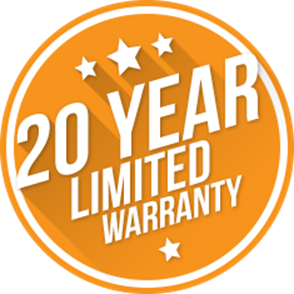 This 20 year warranty also covers the sheet metal on regular and boxed eave roofs up to 31' long. The 14 gauge 2-1/2" framing has a 10 year rust through factory warranty and the 12 gauge 2 1/4" framing has a 20 year rust through factory warranty. In addition, there is a 1 year workmanship factory warranty from the date of installation and a limited lifetime factory warranty on all "Certified" metal garages and carports for wind and snow loads.